Optimum Nutrition's AMINO ENERGY is an Essential Amino acid supplement, with a stimulant in form of Caffeine, which improves energy and focus, gives muscle pump and aids muscle building. Glutamine prevents muscle catabolism, boosts the immune system and enhances glycogen storage in muscles. BCAA's are an integral part of muscle building process. They are anti-catabolic as well as anabolic in nature, which helps initiate muscle synthesis and aid in strength and recovery. Beta-alanine helps improve power and strength ultimately aiding muscle building. L-arginine is a conditionally amino acid, which needs to be supplemented while exerting heavy or poor in nutrition. Arginine is the only precursor of nitric oxide and a vital precursor of creatine. Amino Acids supplements contain all the important amino acids, including essential amino acids like BCAA’s. These provide the anabolic boost in-between the meals and thus help enhance and maximize muscle growth and recuperation. Mix 2 scoops of Amino Energy in 10-12 oz. of cold water. Amino acids make the basic structure of proteins. 20 different amino acids are used in various sequences to make different kind of protein. Essential amino acid comprise of 9 amino acids that the body cannot produce on its own and have to be provided through diet. Muscle protein synthesis requires all the essential amino acids to be supplied in optimum levels. What is Optimum Nutrition Amino Energy? Optimum Nutrition Amino Energy contains all the nine essential amino acids along with other conditionally essential amino acids such as Glutamine, Citrulline, Lysine, Ornithine, Taurine that support muscle anabolism and anti-catabolism in exercising individuals. It also contains stimulant in form of Caffeine for added energy boost and mental alertness. How to take Optimum Nutrition Amino Energy? Take 1 serving any time during the day for quick energy boost and alertness. Can I take Optimum Nutrition Amino Energy before, during and after workout? Do I need to supplement my body with Optimum Nutrition Amino Energy or Whey is enough? Whey protein has been well-researched to be the best known source of naturally occurring BCAA and contains all essential amino acids as well. Is Optimum Nutrition Amino Energy a Vegetarian Product? Does Optimum Nutrition Amino Energy contain any stimulants? 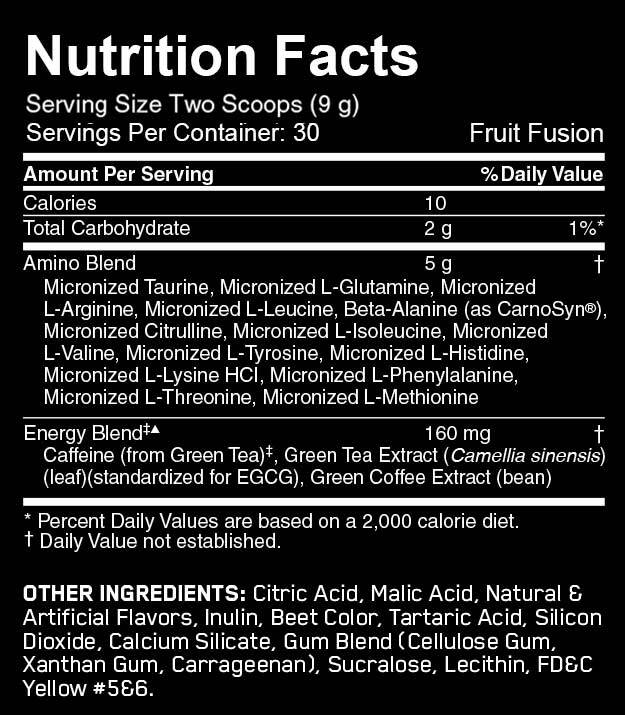 Optimum Nutrition Amino Energy contains 1oomg of Caffeine per serving. Can Essential Amino Acid supplements be taken along with BCAA? 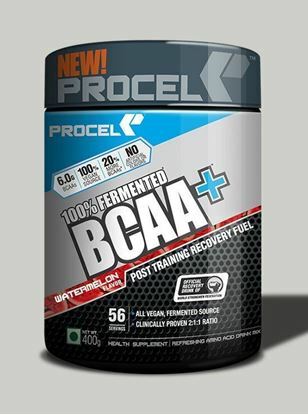 BCAA can be take intra and Post workout for Muscle protein synthesis and energy.